Catalyst for etherification of alcohols and phenols with alkyl halides Catalyst for benzylation reactions. 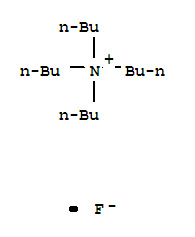 Reagent in organic syntheses in addition, condensation, base-catalyzed cyclization reactions, fluorination and desulfonylation reactions and as a deprotecting agent. Typically dried prior to use.